In 1999, Gene Smith founded the Tibetan Buddhist Resource Center (TBRC), together with Leonard van der Kuijp of Harvard University and friends to digitize the vast corpus of Tibetan literature. This digital library is the largest collection of Tibetan literature outside of Tibet. TBRC continues to acquire, preserve, organize and make available Tibetan texts. “They are the source of all happiness and benefits. To learn the teachings and to practice, we need the texts. We need lots of teaching, so the more texts we have, the better to enrich our knowledge. There are enormous books on many different subjects…it is very important to find them and to preserve them." “Of course the text is the most important part. That has everything in it. History, teaching, lifestyle. Everything. Text is preserving and you can learn from it because you can preserve whatever you wish to – your background, your ancestors, all of this is very important." – H.E. Sakya Dagmo Kusho, Sakya Lineage. Her family was the reason Gene was introduced to Tibetan Buddhism and began his incredible mission. 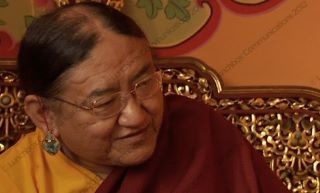 Created as a tribute to Venerable Khenchen Appy Rinpoche, an eminent master of the Sakya Tradition, this documentary contains a short biography, interviews with many of his students and his cremation ceremony in 2011. 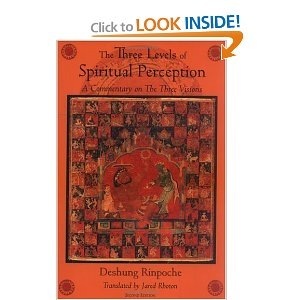 Khenchen Appy Rinpoche was one of the few remaining great masters who had been trained entirely in Tibet. He was a true sage, a master of both sutra and tantra. Through his many inspiring activities, countless people were moved to take up the in-depth study and practice of Buddha Dharma. 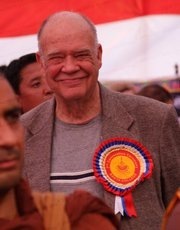 Only the Dharma can eradicate all suffering and accomplish permanent happiness. Therefore, it is essential to practice Dharma.